7503-2348 HDD Backplane module is designed to house up 4 x 3.5" SATA or SAS Hard Drives in 3x5.25” drive bay. Safety locks are providing further protection to your HDDs. Tray-less and screw-less design make HDD installing easier and its rear-mounted 60mm cooling fan keeps the unit function at its optimal capacity. 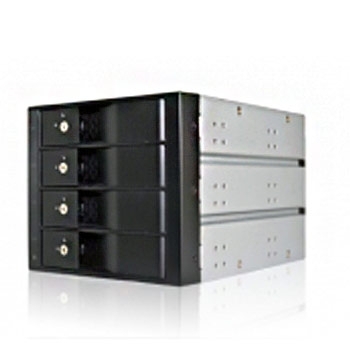 7503-2358 HDD Backplane module is designed to house up 5 x 3.5" SATA or SAS Hard Drives in 3 x 5.25” drive bay. Safety locks are providing further protection to your HDDs. 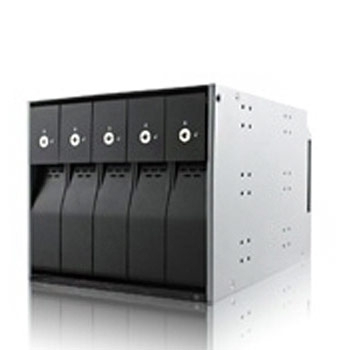 Tray-less and screw-less design make HDD installing easier and its rear-mounted 60mm cooling fan keeps the unit function at its optimal capacity.